The year was 2002. The place was San Francisco, a city that publicly declared itself a "sanctuary" for medical marijuana. Patient and caregivers Tom Kikuchi and Stephanie Landa had moved from southern California to follow that promise of sanctuary, hoping to legally grow a collective garden of various strains of medicinal cannabis. Along with partner Kevin Gage, Kikuchi and Landa secured specific approval from the San Francisco Police Department for the cultivation. The grow operation was close to police headquarters, for added safety. The advice began to look sinister when local officers raided the warehouse a few months afterwards, although the SFPD ultimately released the three partners without charges. When the trio was indicted by the U.S. Attorney just weeks later, however, the move appeared to be a matter of local law enforcement handing a case over to the federal government for prosecution. During the resulting court proceedings, a disparity in the plant count became an important determining factor. Although expert witness Chris Conrad had counted only 880 "rootballs" in the evidence, Landa and her co-defendants were charged with cultivating a total of 1245 plants. Now facing mandatory minimum sentences of 10 years each for exceeding the 1000 plant mark, the three co-defendants all accepted plea deals. Landa and Gage were sentenced to 41 months, while Kikuchi received the somewhat lighter sentence of 37 months. Both male defendants began serving their sentences right away, but Landa was permitted to delay her incarceration in order to care for the minor child she shared with Kikuchi. Kikuchi went immediately into custody, and served out his 37-month sentence at a prison camp. An incident in May 2007 landed him back behind bars, as prosecutors alleged he violated the terms of his supervised release due to his connection to a Los Angeles area grow house. Judge William Alsup sentenced Kikuchi to the maximum sentence of two years in prison for violating his probation. He served this time in a federal institution in Arizona, then a series of halfway houses. 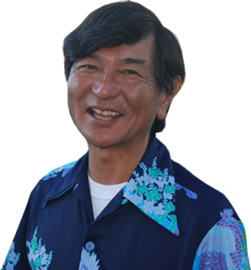 Kikuchi was finally released from custody in June of 2009, at which time he was left to contend with state charges from the Los Angeles grow house bust. After a well-attended ceremony marking her surrender, Landa began serving her sentence in January 2007. 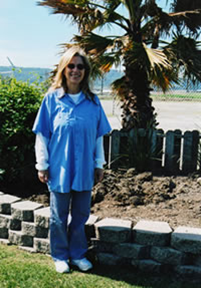 She was released to a halfway house on October 13th, 2009 and released from the terms of her probation in summer 2011. This content was originally published by Vanessa Nelson January 16, 2010 at www.medicalmarijuanaofamerica.com (now defunct). Updated by Lex Libreman for WEED WARS: United States v. Marijuana.